about it. I have to warn you though, that the things I tend to wonder about are not the kinds of things most other people wonder about. That often gets me into some strange territory. I talked to Kat, one of Foretell’s psychics, with these questions in mind. I had heard of something called the “Gaia” theory, which basically says that the Earth is alive. And if the Earth is alive, what about the other planets? basically died. However, if it’s just resting, then maybe at some future point it could have life on it again. How interesting. planets all have different personalities… But that’s getting into another subject. I asked her whether everything in the universe had a “spirit” – by that I meant inanimate objects. She said yes. I didn’t go any further since I was tired and I thought that was quite enough to think about for a while. challenges your previously held ideas about things. This can be quite a shock. A good psychic can help you work through your own denial and difficulties in accepting the truth. have a lot to learn about the things that we take for granted. We don’t have to go spend millions of dollars trying to explore outer space, or the bottom of the ocean to find mysteries to explore because they are literally inside us and all around us. Just think of the things that you have always wondered about, or something that bothers you. “What about THIS?” And off you’ll go to make your own discoveries. to understand the answers to. I say “beginning” because while the answers I have gotten seem rather complete, eventually you want to know more – and there always seems to be “more” to know. ignorance. Then we have to ask the right questions to move beyond our ignorance. “Well if that’s not true, then what is the truth?” And we have to be willing to wait for the answers. That opens the door to new revelations. These things form the foundation of other things that come later. limitations. As that happens, the door opens to learning and understanding more of “how things really are”. I can tell you from experience that this is a pretty awe inspiring process and one that Foretell’s psychics have helped me with immeasurably. Mercury Retrograde. What is it and what is it about? A lot of people don’t even know the meaning, let alone its existence. What is so significant about this phenomenon that has people acting strangely or occurrences happening without any rhyme or reason to it? Since the first Retrograde of the year falls into the Water signs, they rule the hidden elements within your life, the feelings, the intuitive connection with the Divine and your life purpose. Mercury retrogrades have a cycle in which the Retrogrades have an exactness of covering the same signs, the same degrees and approximately on the same calendar days. This exactness is seldom thought about Mercury Retrograde, with the seemingly chaotic and confusing situations we experience during the Retrogrades. The exact Mercury retrogrades we will experience in 2013 were the exact same signs, same degrees and approximately the same calendar days of 1934. This cycle is seldom talked about in the astrology world, but is the cause of major course corrections for humanity. We can look back at history of 1934 to see the impact of Mercury retrogrades covering the same time frames, the same signs and the same degrees. We are coming to an important time as was experienced in 1934. Few people are old enough to recount the transition of that time, but it becomes history repeating itself to give us a chance to grow as humanity, as a society and to make a difference. The Planet of Mars also follows this same cycle and the sequence of Mars combining with Mercury’s influence of ideas and attitudes and Mars brings these ideas and attitudes into action. The phrase “thoughts become things” certainly brings home the combined energy of these two planetary connections. If you’re considering some sort of financial move, you may want to hold off until you clear up communication problems surrounding the agreements that are involved. When Mercury travels retrograde through Aries and your 2nd House of Finances, it’s a tough time to know if you’ve covered all your bases — especially when you tend to see what you want to see rather than what’s really there. If you’re trying to make something go forward and it keeps getting stopped in its tracks, your very best instincts will tell you to wait. Listen to them. Mercury will come back to tickle your imagination during the first part of April. Keep yourself busy visualizing projects, and then arrange your finances when you’re clearer about what you really need, as well as what you can afford. You might believe you’re ready to take on the world, but when Mercury turns retrograde in your sign on March 12, you’ll have to be content taking a few steps forward and several back. After March 23, when Mercury backtracks into Pisces and your 12th House of Subconscious, go into the deepest state of self-reflection you know how to induce, and consider what your true motivations are. It’s easy to go through life being driven by your knee-jerk reactions, but there’s so much for you to reap when you move with more care and deliberation. This could be the opportunity you need to institute the practice of quiet meditation and keep it in your life for good. When one moves as fast as you do, it’s good to stop every now and then to make sure you’re flying like a rocket in the right direction. As a newcomer into this realm of understanding human behavior through astrology, visions, dream interpretations, and past lives, I am beginning to have a new outlook on human behavior and what makes people ‘tick’. From a personal perspective, I have gotten to see and understand this phenomenon first hand within the last few weeks. Not knowing what was going on, a person that I have been somewhat talking with and seeing, suddenly, out of the blue, tells me that I have ‘too much drama in my life’ and he wanted no part of it. I can honestly say it was a complete and total shock. No indications had been forthcoming so this was a HUGE surprise since I hadn’t heard from him in almost three months. After he had his ‘emotional outburst’, a week later, he’s not only fine, but calling and wanting to talk to me like we are old friends. He sounds normal, but talk about an emotional roller coaster ride. As the parent of a female Aries, I have seen the opposite. She is more focused and calmer than ever before, and we have had more conversations that had not led into disagreements based on misunderstanding the other person somewhere in the conversation. As we start on the downside ‘peak’ of this first Retrograde of the year, it is amazing to see how things tie in together and how people are not only affected, but how they respond to different types of undercurrents or circumstances through these natural phases throughout the year. It will be interesting to see how the year progresses with the remaining two Retrogrades and how people react and learn from them. The effects of Mercury Retrograde. What exactly is Mercury retrograde? What does it mean when someone comments that we are in one when something goes wrong? How does this affect things around me? Apparently, Mercury retrograde is a time when the planet Mercury appears to be going backwards like an optical illusion. To most astrologers, Mercury is the planet most associated with communication, logical and rational thinking. So the idea is when Mercury is going forward so is most conversations, when in retrograde (backwards) communication tends to be a bit distorted. Generally we have about 3 retrograde periods through out the year. In 2012, the first one started on March 12, 2012 and will last until April 4th. To an astrologer Mercury will be retrograding in Pisces. My sources indicate that this means during this retrograde we will see a lot more of Pisces style of confrontation in order to deal with past issues. What does this mean exactly? Well it means plenty of duplicity, speaking one’s mind before thinking, and an opportunity to learn how to be open and honest while also being diplomatic. Just be careful you don’t put your foot into your mouth during this particular retrograde. 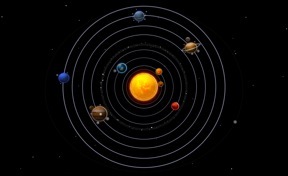 Mercury retrogrades are as one astrologer put it the Murphy’s Law of the astrology world. The reasons why you see some people yell in discussions ‘its Mercury retrograde isn’t it?’ is because while in retrograde things such as communication, travel, and other issues go wrong. This is a period where computers, phone lines, and anything that generally involves communication, or even traveling goes a bit crazy. It’s been suggested that prior to Mercury going retrograde to back up your computer files, start new projects, and make any type of important decisions that are necessary. Now there are cases or people rather who have been born during a Mercury retrograde. If you were born during a retrograde period you have a tendency of being misunderstood. Many times people who were born during a non retrograde period find the ones that are born at the time of a retrograde a bit backwards. Yet when a retrograde happens in Mercury the same ‘backwards’ thinkers seem able to handle everything perfectly fine. In fact, most times they seem to be a bit more understandable and more capable of getting ideas across. People born during non retrograde periods tend to be more willing to hear what it is that the retrograde born people are talking about. I would suggest getting an astrology reading to find a more in depth understanding of your personality and how this Mercury retrograde could affect you. 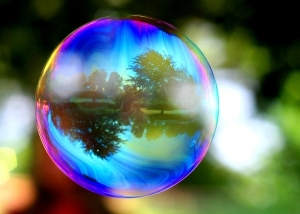 I still had questions so I took my research to two psychic astrologers on Psychicsforetell.com. I needed more insight from a professional astrologer to help me sort through all the information I had been gathering. I most of all wanted to find out how Mercury retrograde will affect everyone and if there were any tricks or suggestions in order to handle the effects. Margie 7020 said that retrogrades in Mercury are the ‘astro clean up periods’. Giving a chance to finish up or handle old business, personal affairs, or anything else we’ve seemed to have started and then put aside. She said during a retrograde it is strongly advised to not move forward or make any type of finalizing decisions. Nevertheless, this time should be used to better organize existing areas of your life. This is a time to clean up past issues so that when Mercury goes back to normal (in a forward motion) you can move forward successfully. Mercury retrograde isn’t something you should hide away from, but use to your advantage. Take the time to re-think, re-organize, and improve on existing qualities. She also mentioned when things go wrong during a retrograde it’s the universe saying ‘hey pay attention to this because you’ve been putting it off lately and this is important’. Shawna 7035 says that this is not a time to get married, or sign any important legal documents if possible. She mentions that during Mercury retrograde most people tend to miss fine details that are really important to the issues at hand. Many issues that have been pushed off to the side will be shoved into the light during this retrograde sometimes in a very blunt not so nice way. Aries is a sign that is very straightforward and brutally honest at times. As Shawna said, Aries is looking for the spot light to call out many things that has or had been bothering it. We should see a lot more people around the world bringing issues forward while in the retrograde. She also mentioned just as a side note that most people who are born during a retrograde have some past life issues that need to be taken care of in this life. I’m not sure exactly what she meant by that. To gain more insight I would suggest trying to get into contact with either her or another fully capable astrologer. Insight into the retrograde has been an interesting and enlightening experience. I’ve already taken necessary steps in order to prepare myself for Mercury going retrograde. Hopefully the effect of this retrograde isn’t harsh on any of us. Moreover, remember use the many retrogrades to your advantage to help improve on existing situations by growing and maintaining organization within your own lives. Double Dark Moons are pretty uncommon which happens when two New Moons are in one month. 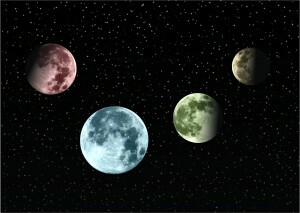 Like the month of July 2011 we will have a new moon on the first and then another on the 30th. 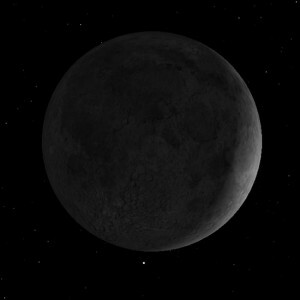 The next double new moon phase will not happen until January 2014. New Moons signify a time of darkness that last roughly 1-3 days before the new crescent of the moon. This should not be confused with a Blue Moon. The blue moon is when you have two full moons in one month. 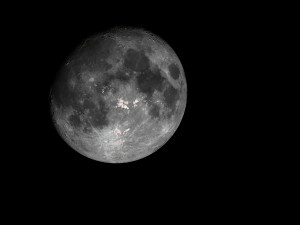 The Dark moon is just a new moon, according to scientists. It’s when the moon is in conjunction with the sun and seems to disappear. This phenomena lasts anywhere from 1-3 days depending and usually isn’t that significant. From many psychic viewpoints, a dark moon is in many ways is the most powerful time psychically on a personal level. It’s a time when we as individuals can plunder our deepest self, feel the longing in our souls and it gives us the chance to hear what messages our psychic energy is telling us. A Dark Moon has been linked to the analogy of ‘a dormant seed under the winter snow’. This moon phase makes us feel tired or in need of solitude which is great for making space within ourselves as well as exploring your spirit. With the Dark moon we should be preparing for a ‘new beginning’ with the start of the crescent. Many psychics, astrologers, and Neo-pagan practitioners say that dark Moons are the part of the cycle where nature reminds us that there is death and then a rebirth of new. Some psychics say that during a dark Moon, we are able to open doors in to the past and we are more prepared to clean them up so that we can grow spiritually. The moon has been linked many times with emotions and with this Dark moon in July, the intuitive psychic self will get the chance to take over since emotions will be ‘covered’. In many cultures the dark Moon was a time for women folk to gather and draw wisdom from there psychic energy. In one article, I came across there were women who would join for the dark moon. Through their monthly cycles, these women were able to connect on a psychic level so that energy could be obtained and maintained through rituals. By synching their cycles (which has been noted when woman live in close quarters) they were able to share visions, receive divine messages, and open up their spirituality to a higher knowledge. Many goddesses were connected with dark Moons. The most famous one is Hecate and in some cases, Lilith and Kali as well. Hecate is the goddess of dreams, night, cross roads, ghosts, magic and much more. She also protects the realm that is between the conscious self (the real world) and the world of spiritual realms. In many ways, Hecate is considered the Lady Pluto in some Wiccan or Neo-pagan societies. An interesting fact: Scorpio is the ruler of death and rebirth and the ruling planet for Scorpio is Pluto. Pluto is also associated with the underworld and the Greek God Hades. Lilith, also known as Adam’s first wife in Jewish Mythology was also celebrated during the dark moon. She has become a significant influence among wiccans and feminist along with the Hindu goddess Kali. Although there are several sources stating the usage of Kali and Lilith is a ‘cultural appropriation’ of the actual goddesses. There are many different rituals for the dark Moon, some I found to be frightening, and then some I thought were very interesting ways to enlighten one’s spiritual side. Personally, you won’t see me practicing anything in the dark. I’ll leave that up the Neo-pagans.